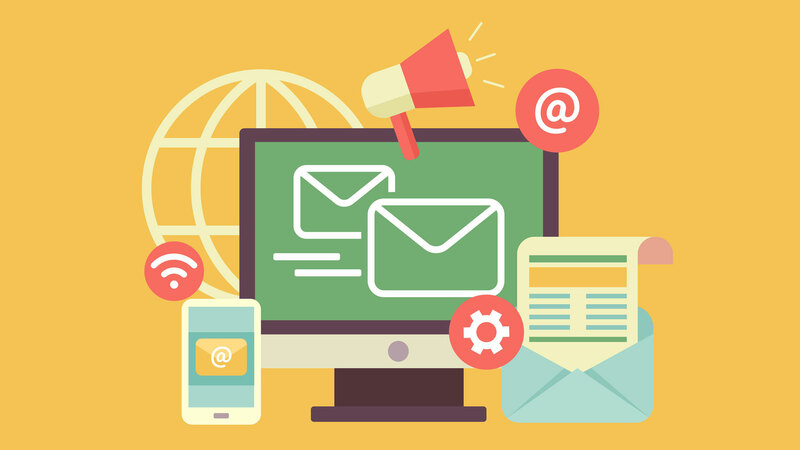 It is not a secret that emailing is one of the most popular digital marketing instruments, and if used smartly, it can help you reach your customers in no time. The most important thing you need to remember about digital marketing is that it is incredibly changeable. 2018 has already started, and as usual, it has brought new trends. Take a look at the ten most expected tendencies in digital marketing that will influence the way you write emails to your target audience. Nobody likes to receive automatic response emails. Surprisingly, the development of technologies brought about the desire to get more human interaction, which is especially important in the online marketing. The uses are more likely to pay attention to your product or service if they are referred to by a real human being. We all know that it is impossible to address every subscriber personally; however, the future holds many AI-powered online marketing tools. Many companies already use some of them in their campaigns, and the trend is very likely to continue in 2018. This year, you are about the see the personalization of content in real time. Such innovation will enable you to create the unique brand experience for every customer. This customization will be likely to appear in different forms. Some companies will focus on personalizing individual products while the others will embrace the entire subscription boxes. In any case, this is the trend that will bring the email interaction to the whole new level. Sending out the sticky content is one of the most effective ways to keep your subscribers. This trend can help you retain your customers by giving them more value. People crave useful information, especially when they find it relatable to their interests and lifestyles. The abundance of sticky content types that you can share with your subscribers varies from the related news to the recipes and outfits of the day. The trick is to keep it useful and simple. Depending on the type of business you run, you can make the best use of this tendency. This is a kind of an enforced trend set by the European Commission. The marketers must comply; otherwise, they will face substantial fines. Hence, this voluntarily-forced trend presumes that every firm that uses email marketing must adjust their campaigns to the General Data Protection Regulations. So far, very few marketers are aware of GDPR, not to mention that some companies have never heard of this abbreviation. In any case, the decision is going to be enforced on May, 25th, so you still have some time to get familiar with the regulations. Ask any digital marketer to confirm that making the content more fun and relatable to the customer can increase the engagement of the audience. The recent surveys have shown that the subscribers love to receive interactive messages, and here comes the next trend. Your email has more chances to be read all the way through if you include add-to-order carts, pictures, hover buttons, and other similar content in the campaign. Again, a lot depends on your target audience, but most people enjoy to receive vivid messages. By the way, the large companies like Microsoft and Burberry, have already tested a few kinks. Whereas interactive elements in the emails are very attractive to many people, the emails written in the plain text show very impressive open rates too. The reason for such tendency is unclear. Some experts believe that the plain text messages seem to be more personal. Others think that the increasing popularity of such attitude is due to the higher convenience of the simple text. For example, such emails are more adjustable to the mobile screens, and you don’t have to open the browser to read them. More than a half emails are opened through a mobile device, and this fact has made the marketers single out the pattern as a 2018 trend. Unlike in the previous years, mobile-friendly email design is not an extra benefit anymore. At present, this is a mere necessity. If you are to attract more mobile visitors to your website, you need to implement this trend into your campaign. This is one of the most predictable trends of 2018, which is closely connected with the previous point. Since more and more users shift from desktop to mobile devices, mobile purchasing has become a new business opportunity. Although the optimization of content remains the biggest headache of many brands, this is a soon-to-be-resolved problem. Do not miss the chance to boost your business. Create a top-notch mobile purchasing experience for your customers if you haven’t done it yet. This is a not so thrilling trend for the marketers. Currently, the amount of sent emails is higher than ever before. The subscribers receive tons of letters, and many emails get lost. The goals of email marketing campaigns in 2018 are to stay visible and relevant to the customers. This year, the marketers will keep struggling with the passive opt-outs, but those who are warned and armed will be able to find the best strategy to overcome this challenge. For a long time, the use of segmentation list has been the most frequently adopted strategy in email marketing. Likewise, it has been very effective. We are not sure why some businesses still fail to implement the segmentation for their campaigns. Hopefully, the brands will pay more attention to retargeting in 2018 because the lists of segmentation are on the rise this year. In fact, most of the trends of 2018 are pretty expectable. Some of them are not new, which means that you do not need to try too hard to implement them. Have you already started to make changes to your campaigns? What trends do you like the most? Please share in the comment box below.